A classical icon of unique beauty is set in white porcelain upon these Peacock dishes from 222 Fifth. 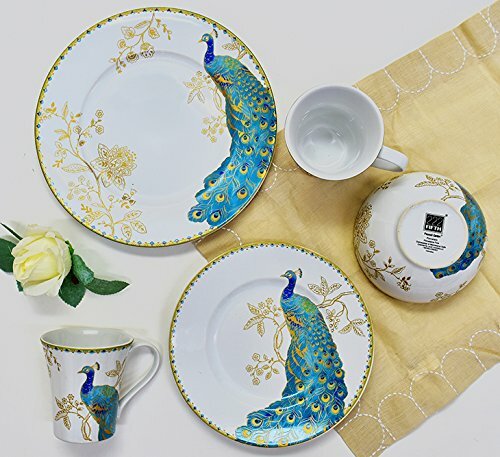 Colorful, charming and precious in porcelain, this Peacock Garden 16 Piece Dinnerware Set is designed to elevate the look of your table. If you have any questions about this product by 222 Fifth, contact us by completing and submitting the form below. If you are looking for a specif part number, please include it with your message.